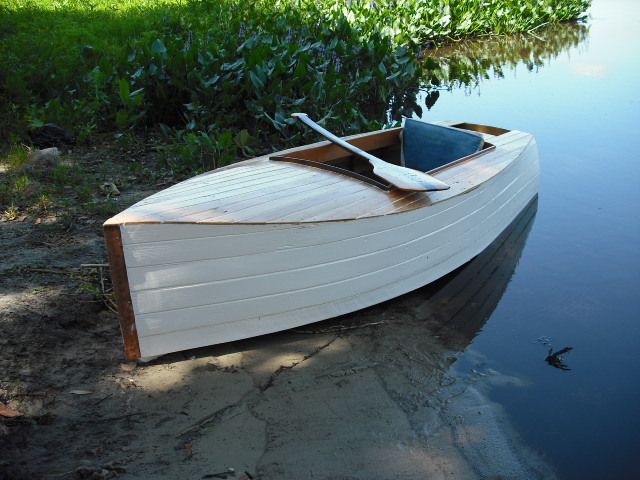 Joe Vines designed and built this small skiff that he calls SCOUT. She is propelled by a small trolling motor or a paddle. 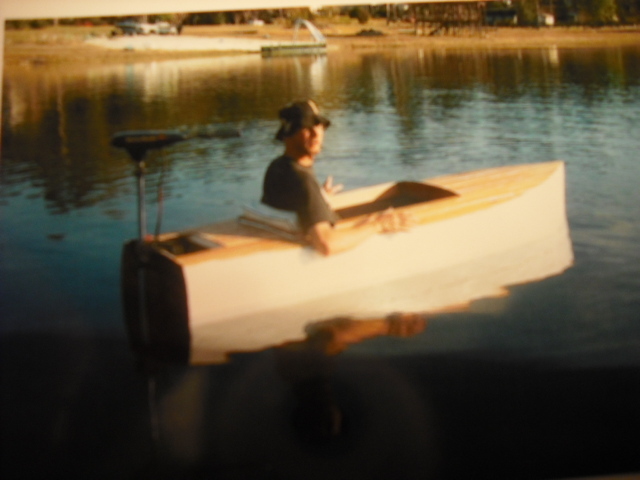 Joe launched her in June 2011, and paddles her on Orange Lake and Lake Lochloosa in Citra, Florida. 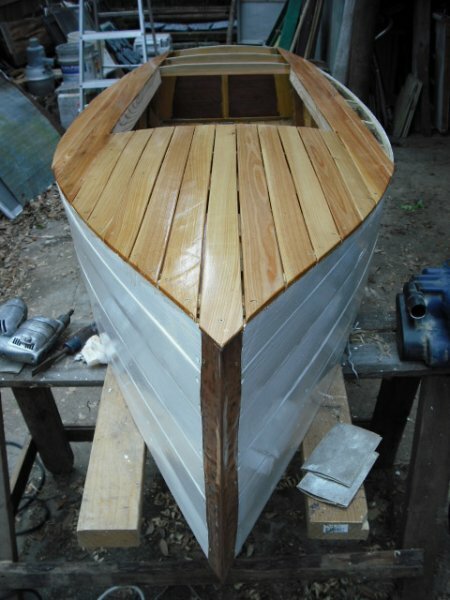 Joe built the frames and planking for the 7′10″ SCOUT from pressure treated southern yellow pine. 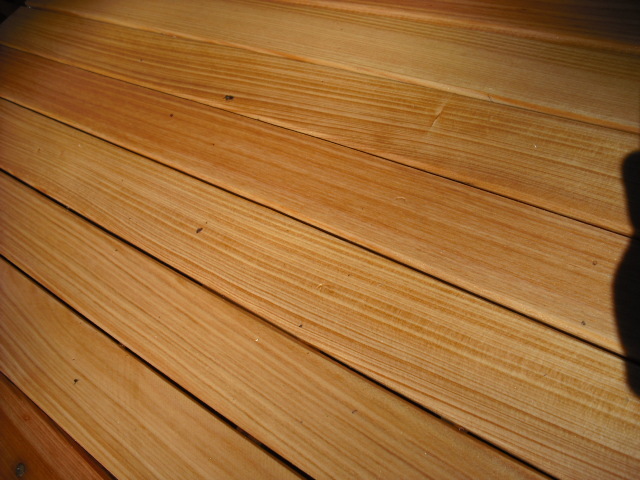 He made the deck from cypress, and the coamings from cedar. 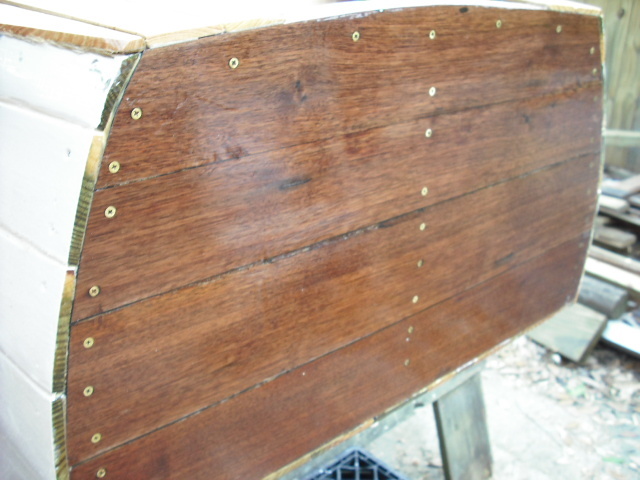 Joe even recycled some mahogany from some century-old cabinets into the dashboard and transom.